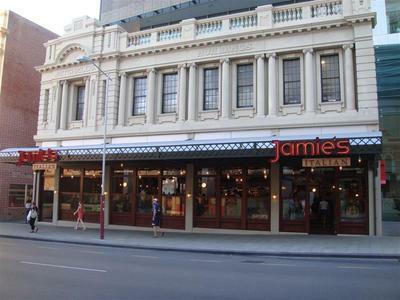 Jamie Oliver has opened an Italian restaurant in Perth. It has already created a reputation and is very popular. No, but I would love to go there. This is on my 'to do' list, so I am hoping to go there soon. No I have not had the chance to, but like dream really am looking forward to an opportunity! Can you imagine? I think it would be an awesome experience. No I haven't as I heard it is very crowded and also I think it is in the City and I can't be bothered trying to park there when we have so many good restaurants elsewhere. I prefer elegant and intimate restaurants conducive to romance and conversation. Jamie's felt rushed and over-crowded. The food left no lasting impression. Best Chinese restaurant in Perth? Do you prefer Outback or Urban Adventures? How do you get grass stains out of clothes?